Whether you are still making up your mind about Christianity or you are looking for a place to grow in your faith, Hillcrest wants to help. Our aim is to be a place to find and follow Jesus together. It is our desire to be a disciple-making community. We do this through reaching people, teaching them to love and serve Jesus, and sending them to reach, teach, and send others. This one hour class is designed for those who are considering membership or want to learn more about Hillcrest. In this session, you will receive the information and inspiration you need for meaningful involvement in our church. Pastor Tom leads Discover Hillcrest in the Student Game Room immediately following the worship service. 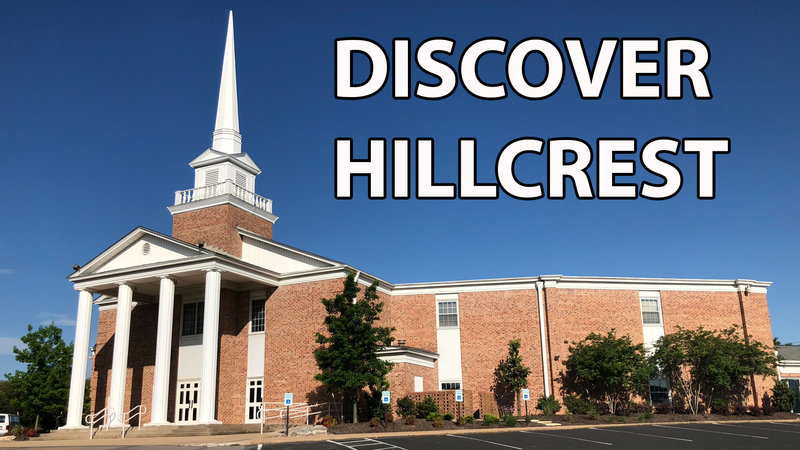 Once you've discovered Hillcrest, learn how we share what we love about our journey together as a Hillcrest family. Click the link below to experience the INVITE study series.